The National Theatre houses three theatres and has modern and distinctive event spaces include foyers, restaurants, private rooms and outdoor terraces. Whatever the event, from product launches and small business meetings to lavish receptions or private dinners, the National Theatre in-house events team can manage it for you. 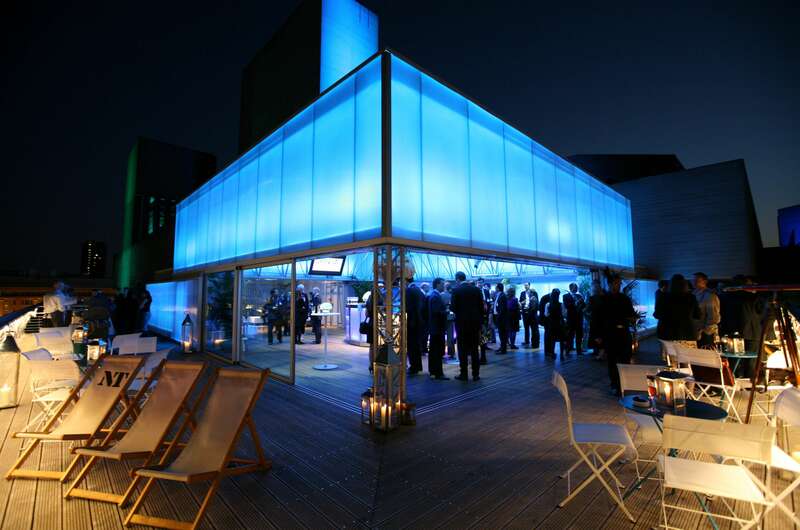 The National Theatre’s roof- venue, The Deck offers spectacular panoramic views of the river and the City, and private access to a large outdoor terrace which is ideal for summer barbecue parties. The Deck is also perfect for Christmas parties and weddings. As well as being home to The Deck, the roof of the National Theatre is also home to approximately 60,000 bees; they keep bee hives to promote the declining bee population and sell the honey in the National Theatre shop.